The majority of today’s Americans have technology at their fingertips. Ellie Cade Custom Homes brings that to the homes we build. Smart homes conveniently offer peace of mind, security and energy savings. Innovations in wireless technology have made controlling different aspects of your home possible through your phone or tablet and we take full advantage of that. 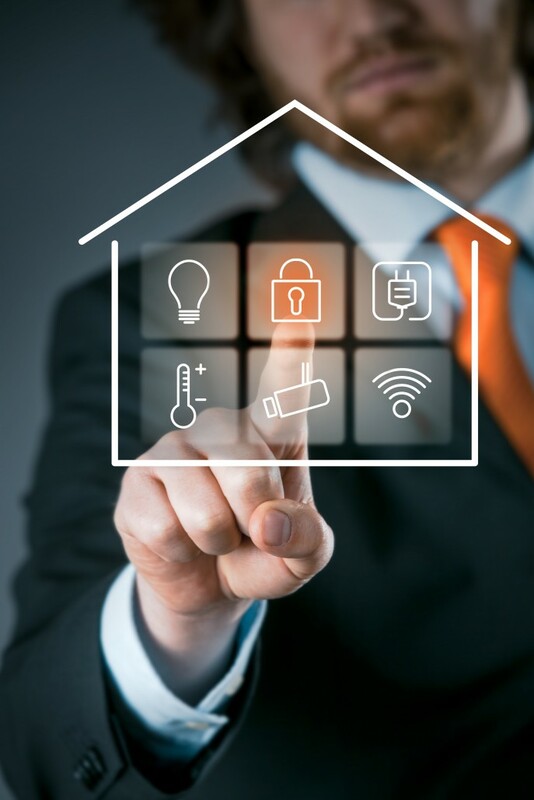 Today’s smart home is the convergence of technology and convenience, allowing the devices that you use every day- TVs, audio equipment, lights, security systems, thermostats, and so on- to work together. Our smart home systems are adaptable and give you the ability to remotely turn off lights that were left on, to change the temperature in your home while you are away, make changes to your security system and many more. Regardless of the features, at Ellie Cade Custom Homes our focus is your lifestyle and how to bring the true benefit of technology into your home. The home owner is our top priority at Ellie Cade Custom Homes and we pride ourselves in giving you the best that is available. Let us show you the reasons why people are making the change to smart homes. Give us a call today and learn more about our home automation options.